Organic Gardening Goal 2: To encourage and enhance biological cycles within landscapes, involving micro-organisms, soil flora and fauna, plants and animals. Many gardeners do not know what happens to leaves when they fall to the ground in autumn, because they’re outside the next day raking them up and putting them on the curb to be taken away by a big truck. In some cities, you even have to pay to have them taken away, or otherwise I suppose you still pay through your taxes. Ironically, some of these gardeners are smart enough to buy back these leaves as precious “leaf mold” in the spring – a beautiful soil conditioner – for $75/yard or even more. See the irony? This is called breaking our biological cycles. Instead, we want to encourage and enhance these cycles. What would happen if these leaves were instead raked into the gardens? They would break down over winter while providing loads of benefits for the soil and plants. You probably know many of these benefits. There are many other cycles that we want to encourage when organic gardening. We want some aphids to spend time on our roses. What? Aphids? Absolutely. How else are we going to attract ladybugs to come and lay their eggs? They like to do that were the food is. Then the larva will eat the aphids. We don’t always want to drain that low area in our yard. We may want it to flood in the spring to attract a whole new group of insects and birds and even plants. We may even want the lawn to go a golden yellow-brown in the summer. That’s what it has evolved to do. It’s quite happy to take a break. It’ll come back in the fall. If we interrupt these cycles, we inherit the work ourselves. We make compost instead of leaving the leaves and the grass clippings in place. 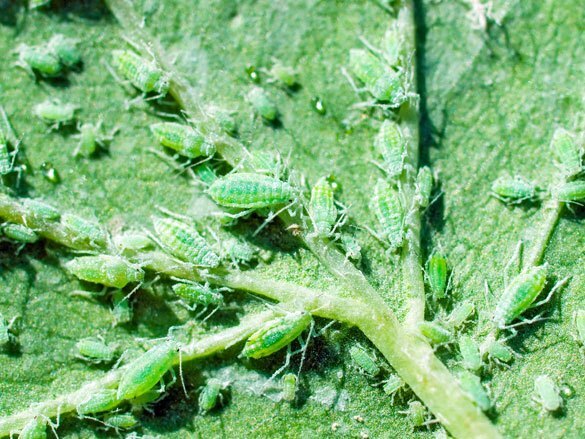 We spray toxic chemicals on our plants to kill the aphids. We install vast sewer systems to take away the excess water, and then we install irrigation systems to keep the lawn green. By encouraging biological cycles, we let nature do some of this work. We may still compost and irrigate, but nature takes care of a lot of it. That’s organic gardening – more than just avoiding chemical fertilizers and pesticides, it’s about encouraging nature to be natural. Yeah, to maintain garden biological factor is also so important. and articles like this definitely encourages me lot. Thanks for sharing information..